This write-up will see me rounding out my current El Dorado rum collection which in one way is quite sad, but it also means that I have an excuse to seek out the 3yr old, 5yr old and 8yr old offerings…..there is a 25yr old offering that is very limited and very expensive but I chose architecture as a career so that’s pretty much put an end to me ever owning that one! This is the first El Dorado rum that I picked up and is therefore responsible for my interest in the brand, both for the taste and the fantastic history of the producers. It was also my first Demerara sipping rum as opposed to mixers and it really opened my eyes. As before, it’s going to be useful if you brush up on the history of El Dorado and DDL and you can do that by reading my El Dorado 15 write-up here. I have also mentioned the stills that DDL use in their rum production and their own website has a terrific heritage section and that can be found here and is well worth a read. 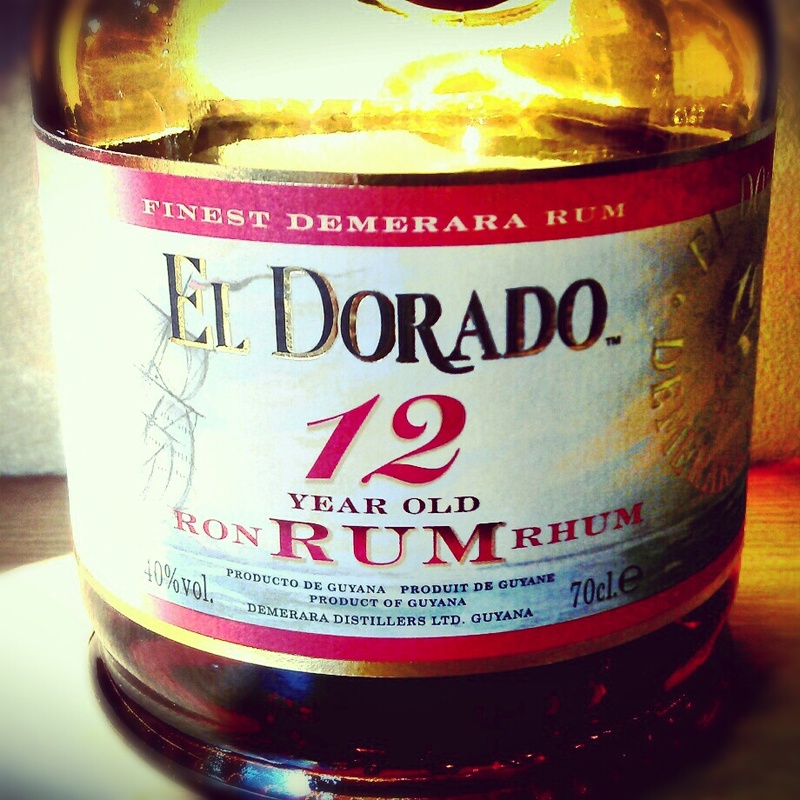 El Dorado 12 is a blend of 3 stills. 2 column stills including the worlds only wooden Coffey still and a unique double wooden pot still. Like its brothers and sisters it has also been the recipient of numerous awards including Gold medals at the Beverage Tasting Institute of Chicago and ‘Best in Class’ at the IWSC in 2008, 2009, 2010 and 2011. It featured in the New York Times ‘Top 10 list and won ‘Best Rum aged over 12 Years Old’ at the 2010 Golden Rum Barrel Awards as part of the UK Rumfest. Again, as with the 15 and 21 year old rums, the age referenced is the youngest rum in the blend……again, pretty impressive stuff. 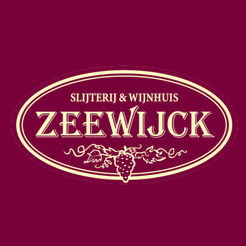 You’ll be wanting to know how this rum stands up against its older siblings……. In the glass: The rum is a dark foreboding red and amber in the glass and swirling the glass releases nice medium-sized droplets. The first aroma that I get is that of sweet sweet sweet thick cut orange marmalade and spicy Christmas pudding. As stodgy as that sounds, the rum never smells like it will be heavy. I can also pick up on cinnamon, vanilla, brown sugar and toffee. I cant wait to taste it. In the mouth: Instant unfaltering sweetness hits you immediately with a little burn and a spice kick on the middle of your tongue. There is so much fruitiness to this rum as it coats your tongue. Orange, banana, apricot, peach and raisins all jump out at you. My word its good stuff. The finish is dry and well-balanced with no real dominant flavour or burn……just a massively moreish smooth brown sugar. It’s a difficult thing to try to place one of the rums over the other purely on taste grounds as I’d say that all three of them offer something unique that makes them worthy of a place in any collection. If I were to bring the other factor into it, cost, then it all depends on your own situation. 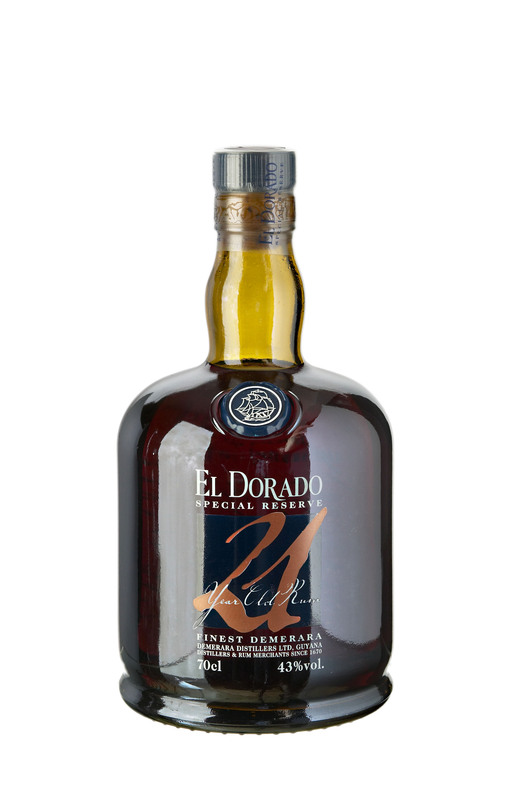 All things considered though, I absolutely love all three but (sample of the 21 aside), the bottle that has most missing from it is the El Dorado 12….not by much, but it will definitely be the one that gets replace immediately as it is the one that I don’t think that I could be without. My love of El Dorado rums is no secret….I seem to talk about them to friends at every opportunity and sing their praises on a weekly basis. I’ve always thought that the older a rum, the better it is, but that opinion belonged to my younger, more naïve self. Having tried a few rums by the same producers, I’ve discovered that this is not necessarily the case. There are some amazing young rums. Fortunately for me, Love Drinks who are the UK distributor for El Dorado were kind enough to furnish me with a small sample bottle of El Dorado 21. 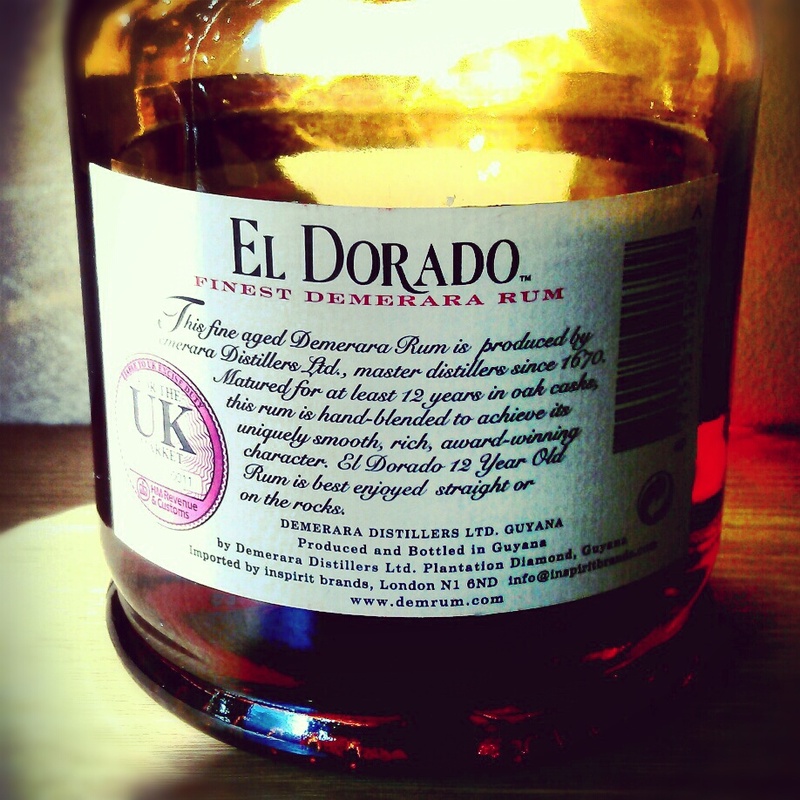 For the in-depth background on the El Dorado rums and DDL, it is worth familiarising / reacquainting yourself with my El Dorado 15 write-up found here……. Right, now that you’re all refreshed, I can tell you that El Dorado 21 is a blend of rum from 3 stills…..the only remaining wooden Coffey still, a column still and a unique wooden pot still. Hot on the heels of the award-winning El Dorado 15, the El Dorado 21 itself is no slouch when it comes to plaudits. It scored 98 out of 100 at the 2007 Beverage Tasting Institute of Chicago, the highest mark ever handed to a rum. It also won Best in Class in 2006, 2007, 2008, 2009, 2010 and 2011 at the IWSC and a Gold Medal at Canada’s International Rum Festival. The above is all well and good, but what you really want to know is how it tastes…..so here we go….. 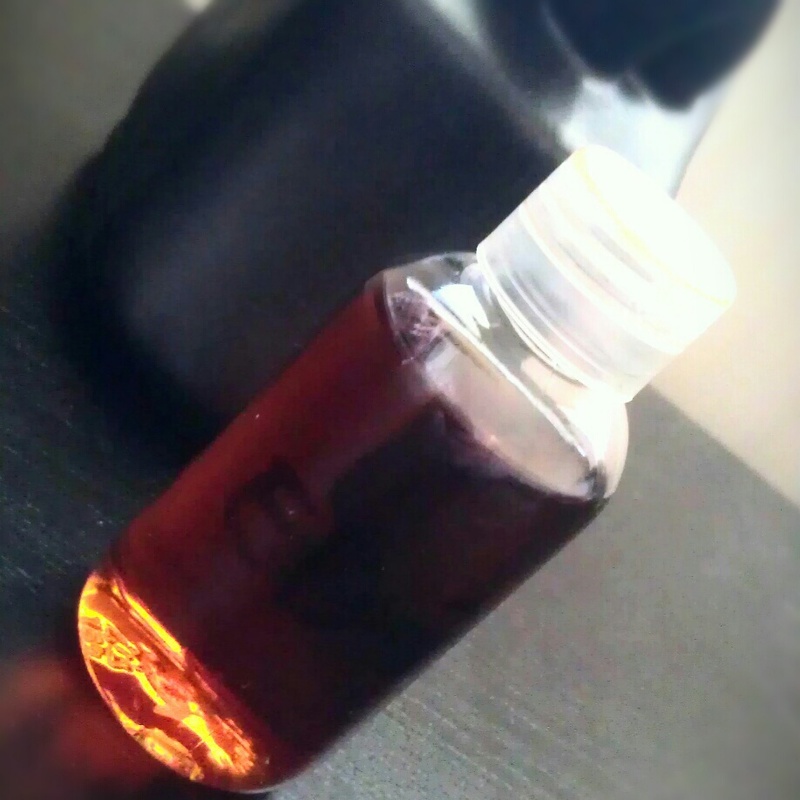 In the glass: The rum is dark bronze, oily and looks like it’ll be more of a snack than a drink. When I swirl the glass, slow walls of droplets slide down the sides….a little like a melting iceberg. I instantly smell brown sugar, molasses, vanilla, and toffee. As the glass sits I can pick up orange, spice and chocolate. It smells massively complex, revealing new aromas as the glass sits. This smells like it will be very sweet. 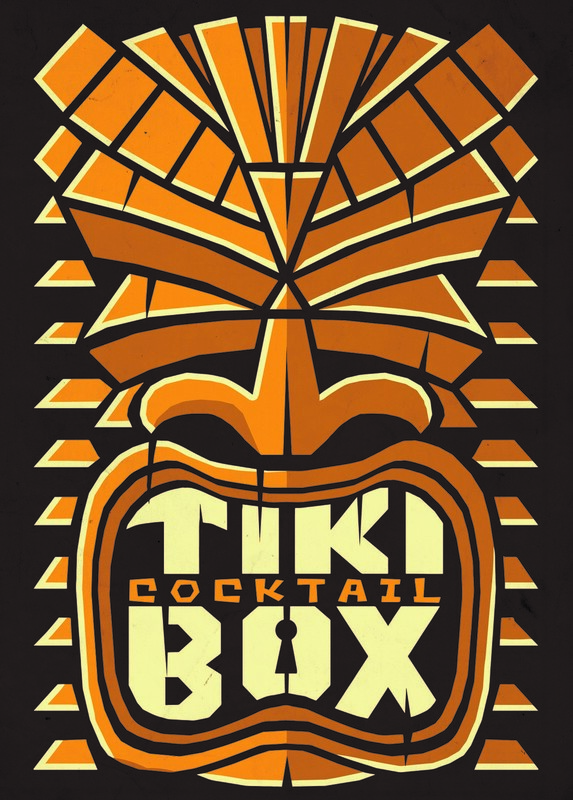 In the mouth: As soon as the rum hits my tongue my mouth is enveloped by sweetness. What does surprise me is how dry the rum is….I didn’t expect that. There is instant heat and warmth and I can pick up dates, spicy oak and toffee, immediately followed by an almost coffee like taste. This is definitely robust and full-bodied. It’s so oily you feel like you could bite into it. It is massively complex with layer upon layer of flavours. There is absolutely no burn, just spice, chocolate and date-like toffee lingering in my mouth long after the rum has gone. Later there is an aroma of leathery tobacco left on the glass…..its definitely a keeper! This is certainly a special occasion rum with a price point of around £75. I don’t think that you’d ever be disappointed with the rum at any point but when you can pick up a bottle of the 15yr old and 12yr old for a total of around £76, with my income level, I’d probably look to buy the two younger offerings. I just feel that given the price, I wouldn’t enjoy it as often as I enjoy the 12 and 15. If money were no object…..I’d have a shelf brimming with the stuff. It offers a completely different experience to the younger rums, they are most certainly a family and each offers its own stand out traits…..so if you do have the money and the desire to invest in something that would give you endless evenings of joy….go for it!